Destroying the shackles that keep us from freedom isn't easy. But nothing worthwhile ever is. My life has been full of triumphant victories and devastating losses. Combined, these experiences have led to my path as a campaigner on a mission to end the era of big oil. Fortunately, I have been deeply supported and loved by my wife of 22 years and my two sons. But through all the environmental devastation I've witnessed, I have never been able to shake this feeling of dread, a sense that death is just around the corner. I learned through therapy that this feeling of uncertainly, of not being safe, is quite common to urbanized Indigenous People. They say we are living with post-traumatic stress disorder associated with the colonization and subsequent dispossession of our waters, lands and bodies. We are living with Intergenerational Indian Residential School Syndrome—yes, even those of us who did not attend residential school, but whose mothers and fathers did. At the age of 18, I began a journey of discovery. I was trying to get away from the pitfalls of gang life in the inner city, and, for the first time in my life, I attended a Sundance ceremony. The ceremony took place in Saugeen First Nation in southern Manitoba, Treaty one territory near the city of Winnipeg. I was introduced to this Sundance through a program called Medicine Fire Lodge. It was designed for at-risk youth to learn community development through a platform of radical anti-racism, anti-oppression, and anti-colonialism. The project was created by my dear friend and mentor, the late Larry Morissette, an Indigenous rights activist. I graduated from this program with a campaigners' toolkit and went through a radicalization metamorphosis that led me down a path of activism. The days that I spent at that Sundance were the first time I had experienced community self-determination expressed in a way that was grounded in our shared Indigenous cosmology and worldview. It was the first time I had seen Native men working hand-in-hand with Native women to build community, while Native kids ran around mimicking the dancers, singers and helpers. Perhaps most profoundly, it was an expression of community that wasn't tainted with the toxic masculinity I had grown accustomed too, nor was it warped by white patriarchy. Everyone had the right to go up to that Grandmother tree, to speak to Creator, to our ancestors, and to ask for the help they needed to heal from generations of collective colonial trauma. Since that time, more than two decades ago, I have been stuck in a loop, trying to overcome my own trauma. My story is no different than that of any other Indigenous boy or man with questions living in the inner city in Canada. After my childhood of growing up in the inner city of Winnipeg and teen years spent living in racist rural British Columbia, Sundance opened a door of possibility for decolonization and real healing from collective colonial trauma and its manifestation of violence in my own life. I stepped through that door, and it was hard work. But it wasn’t until very recently that I learned that forgiveness was the real battle. More recently, after so many tremendous highs and incredible lows, I felt a pressing need to find true balance in my life. No matter how many ceremonies I took part in or iterations of therapy I attended, I could never quite shake the anger I had carried since my childhood; rooted in physical, sexual, mental and spiritual abuse. I also couldn't escape the trauma of our peoples’ collective past and its impact on my own life. Holding all of this awareness, a few years ago I decided to start a book project called Life in the City of Dirty Water (“Winnipeg” means murky water in Cree). I felt that giving my stories about meaningfully confronting trauma to peoples across Mother Earth could help me forgive those that had harmed me when I was helpless. The project has grown from a hardcover book and morphed into a large transmedia project. As I near the end of this project's production, I must say that for the first time in my life I feel like I may have stumbled into some kind of state of peace. For in the end, when you're angry at someone, you carry that with you, and you're never free. The only way to truly go about this is to go on journeys of discovery, to become tempered, to find the fortitude to forgive, to decolonize. Only then is freedom possible. 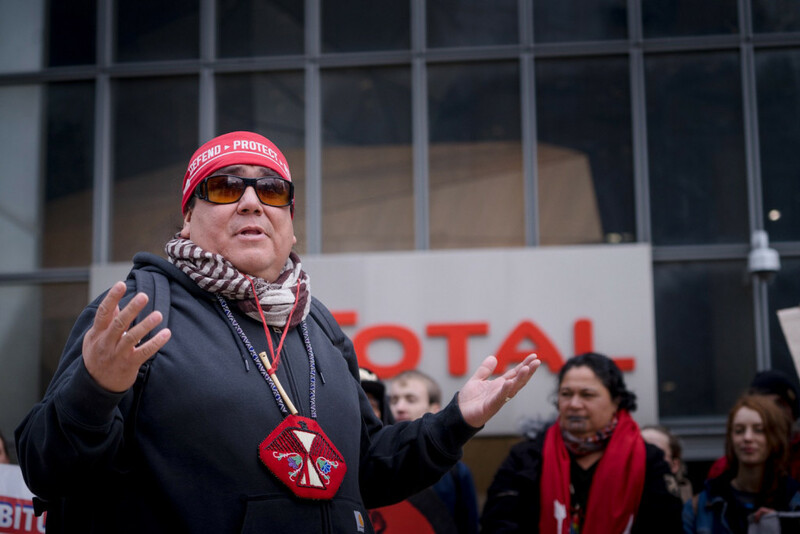 Clayton Thomas-Müller is a member of the Treaty #6 based Mathias Colomb Cree Nation also known as Pukatawagan located in Northern Manitoba, Canada. Based in Winnipeg, Manitoba, Canada, Clayton is the 'Stop it at the Source' campaigner with 350.org. 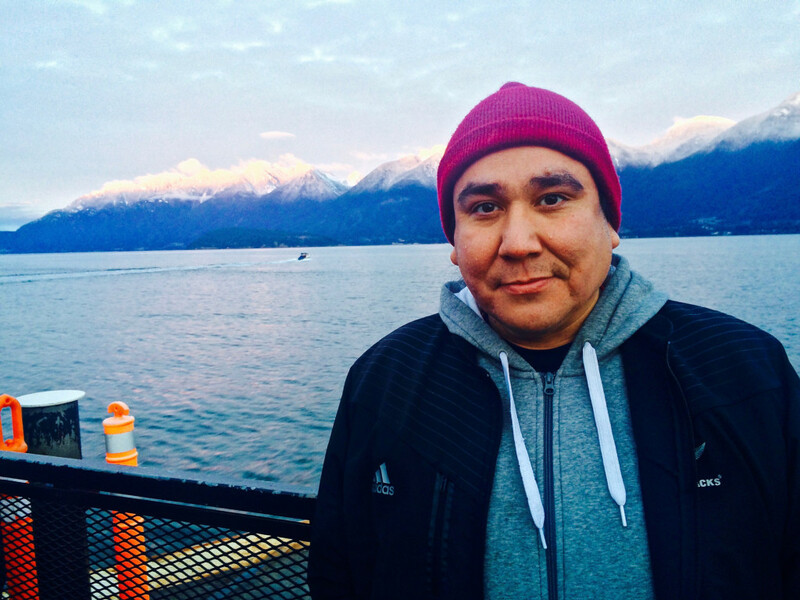 Clayton is an organizer, facilitator, public speaker and writer on Indigenous rights and environmental & economic justice.